The FDA has warned a cosmetic doctor about public statements about a drug before it is FDA approved. Cosmetic doctors' financial ties to cosmetic companies make it hard for women to get unbiased expert information on skin care treatments and products. Where can women find reliable skin care information untainted by the influence of cosmetic companies? 28 out of 29 of the doctors [speaking at this conference] had relationships with cosmetic companies that gave them something of "value." Try finding an article in the beauty or fashion press about a skin care product or treatment that doesn't work. Or a scientifically sound study that pits one skin care product or treatment against a competing one? Aren't the cosmetic dermatologists and plastic surgeons supposed to be providing unbiased medical information on these products and treatments? After all, Americans spent $10.5 billion on cosmetic procedures in 2009, and over $50 billion on skin and personal care products. Consumers are not getting that information for one reason that no one ever talks about: virtually every prominent cosmetic dermatologist has some financial tie or relationship with a cosmetic company. That's what makes sources of unbiased information, like dermatologist and author Dr. Brandith Irwin's website, SkinTour, so valuable. She has no ties to cosmetic companies. 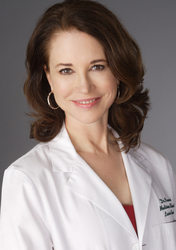 Dr. Leslie Baumann is a prominent dermatologist and is often quoted in the beauty and fashion press. Early this year, she received a warning letter from the FDA, cautioning her about promoting a drug before it received FDA approval. In her case, she had expressed enthusiasm about Dysport, a new anti-wrinkle competitor to Botox, before it had been FDA approved. Dr. Baumann is a consultant, investigator, researcher, or on the board of over 40 cosmetic companies, and was a clinical investigator for Medicis, the marketer of Dysport. In August 2008, 29 prominent dermatologists and plastic surgeons gave presentations at one of the best-known conferences on cosmetic laser dermatology, Controversies and Conversations in Laser and Cosmetic Surgery, at Whistler, British Columbia. Each presenter was required to identify potential conflicts of interest by disclosing relationships with companies from whom they receive something of "value." How many of the 29 doctors had potential conflicts of interest because they were receiving something of "value" from a cosmetic company? 28 out of the 29 doctors had relationships with cosmetic companies that give them something of "value;"
One of the doctors began her oral presentation by saying, in a joking fashion, "Oh, we have to disclose our relationships with companies now, but I pretty much take money from everyone." Big deal, some would say. So these doctors work part of the time for cosmetic companies or device makers. The problem is that consumers are spending billions of dollars to get effective anti-aging and cosmetic skin treatments. And because of the potential conflicts by the dermatologists, consumers are not getting good science. Or they're getting biased information. 1. Negative reviews or reports. Doctors get paid to say good things, not bad things, about skin care products or treatment. So they either promote a product or treatment, or say nothing at all. But consumers should be learning about treatments or products that don't work, not just ones that may work. 2. No head-to-head studies of devices or products. There are almost no studies that pit different devices, or different skin care products, head to head in clinical studies? Wouldn't it be very useful to know which laser worked best? Or which over-the-counter retinol was most effective? No company will fund those studies, and no doctors will do a study unless they get the funding from the cosmetic companies. So these kinds of studies don't get done. Where Can Women (and Men) Get Unbiased Expert Information on Cosmetic Skin Issues? SkinTour.com. Dr. Brandith Irwin, a well-known dermatologist who has appeared on The Oprah Winfrey Show and written two books on how to have great skin without plastic surgery, is one of the only prominent dermatologists to maintain her independence from cosmetic companies. Her free website, SkinTour.com, has her expert information on skin care products and on cosmetic skin treatments ranging from Botox and Juvederm to lasers, like the Fraxel and Thermage. She recently added a blog to SkinTour, so users can ask questions and get her information and opinions directly. From Paula Begoun, on skin care products. The author of the book series Don't Go To the Cosmetic Counter Without Me, she has gone online with a valuable resource on skin care products. Her Beautypedia.com is a subscription service that has information on thousands of skin care products. And her email newsletters are well-researched and excellent. She is not a doctor, so her focus is more on skin care and beauty.